ISLAMABAD (92 News) – Prime Minister Imran Khan on Thursday said that the implementation of National Action Plan (NAP) is the main priority of his government. The prime minister chaired the first-ever meeting of the National Internal Security Committee at the Prime Minister’s Office. Prime Minister Imran Khan has reiterated Pakistan’s commitment not to allow any militant group operate in the country or use its territory for any militant activity within or outside Pakistan. During the meeting, the premier reiterated that Pakistan is firmly committed to not allow any militant group to operate in the country or use its territory for any militant activity within or outside Pakistan. The committee decided to constitute Expert Working Groups to ensure seamless coordination and implementation of every aspect of the NAP. PM Imran Khan recounted the various legislative and administrative measures taken by his government to deal with militancy and to combat terror financing, money laundering and hawala-hundi. He stressed upon the need for continued and sustained on-ground efforts to take the struggle against these crimes to a conclusive end. 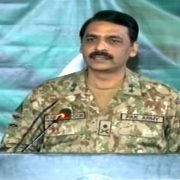 “Pakistan has suffered immensely, both in terms of human lives as well as material losses, due to the menace of terrorism. As a result of the immense sacrifices rendered by the armed forces, intelligence agencies, police, and other law enforcement agencies,” he mentioned. “We have made significant progress towards combating terrorism and ensuring peace,” Imran Khan added. He asserted that the PTI-led government remains committed to removing all impediments in the implementation of NAP. The meeting was attended by Foreign Minister Shah Mehmood Qureshi, Finance Minister Asad Umar, Education Minister Shafqat Mehmood, Minister for Religious Affairs Noorul Haq Qadri, State Minister for Interior Shehryar Khan Afridi, Inter-Services Intelligence Director General Lt General Asim Munir and the director general of the Intelligence Bureau. Other participants included federal secretaries, chief secretaries and police chiefs of all provinces, provincial secretaries and other senior officials. Finance Minister Asad Umar gave the meeting an update about matters related to the Financial Action Task Force and the recent meetings held with the Asia Pacific Group. Interior Secretary Major (r) Azam Suleman Khan apprised the meeting about the progress in implementation of NAP and highlighted the efforts being made in dealing with the issues of cybersecurity, money laundering, and madrasa reforms. A day earlier, PM Imran Khan chaired a high-level meeting and discussed matters pertaining to national security.